LONDON - The firing of Jose Mourinho cost Manchester United $25 million. 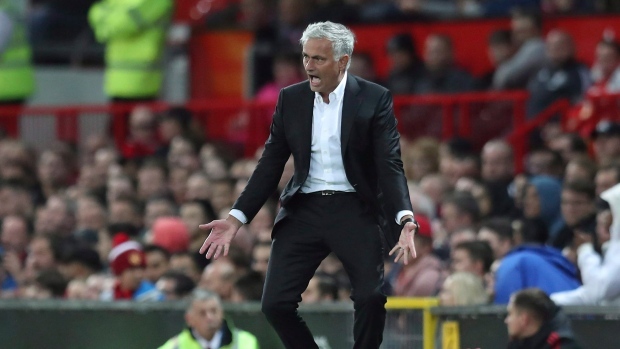 In its latest financial results, published Thursday, United lists 19.6 million pounds ($25 million) in exceptional items relating to the cost of dismissing Mourinho and six members of his coaching staff. Mourinho was fired in December after two and a half years with the team sixth in the Premier League. United hired Ole Gunnar Solskjaer as interim manager until the end of the season. The former United striker has lifted the team back into fourth place, a Champions League qualification spot. United reported record revenue for the second quarter of the financial year of 208.6 million pounds. The club is forecasting annual revenue to be between 615 million and 630 million pounds.